Peter Faneuil, a slave trader, bequeathed the landmark to the city in 1742. 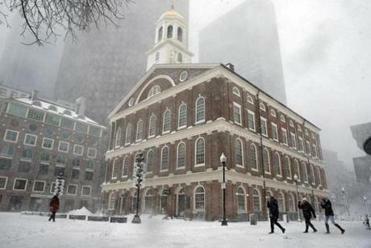 An advocacy group that has been pushing to rename Faneuil Hall called this weekend for a black boycott of the building and Quincy Market, citing the namesake’s ties to slavery and human trafficking. Kevin Peterson, founder of the New Democracy Coalition, said the push follows years of unsuccessful efforts to discuss renaming the building with city leaders, including city councilors and Mayor Martin J. Walsh. “At this point, we clergy members and community activists are deeply disappointed that Mayor Walsh has never responded to any of our efforts to discuss the matter of changing the name,” he said in a brief interview. In coming weeks, the organization plans to protest outside the building and hold a sit-in. Peterson hoped the effort would garner the attention of civic leaders. He also planned to seek support from national organizations such as the NAACP and Urban League. In a letter dated Friday, Peterson asked for help from James E. Rooney, chief executive of the Greater Boston Chamber of Commerce, to find a way to open negotiations with civic leaders about renaming the building. Boston’s tourist hub is named for a slave trader. Artist Steve Locke wants to commemorate that history without taking Peter Faneuil’s name off the city’s quintessential landmark. “As one of Boston’s essential business leaders in this city, I am certain you consider this matter of grave ethical concern. I write because we believe there might be some way toward negotiation and understanding, an opportunity to find a pathway forward,” Peterson wrote. A spokeswoman for the Chamber of Commerce said Sunday that Rooney had not seen the letter. A spokeswoman for the mayor declined to comment but referred to Walsh’s earlier statements. 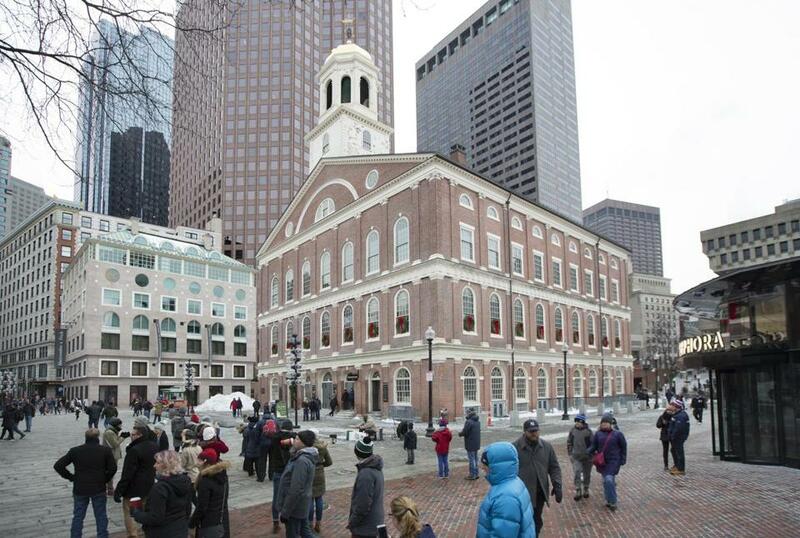 “If we were to change the name of Faneuil Hall today, 30 years from now, no one would know why we did it. Not many people know about the history of that man,” he said. “What we should do instead, is figure out a way to acknowledge the history so people understand it. We can’t erase history, but we can learn from it.” Peter Faneuil was a merchant who traded and owned slaves. Peterson said the building had ties to the slave trade and a new name would help the city recognize its ties to a fraught past. He suggested renaming it after Crispus Attucks, a man of African descent widely believed to be the first person killed in the American Revolution. He died in the Boston Massacre. “The effort of changing the name isn’t about erasing the name but ensuring the history of everyone in Boston, including the slaves,” Peterson said.